Profile is part of the PDSI group and is a unique team of experienced consultants with over 200 years of retained programming experience, with employees ranging from Director’s to trainees and all levels in between. We specialise in construction planning and programming services, based from our offices in Kent, London and Spain. We provide expert “time management” knowledge and support to the” built environment”, in a quality assured and cost efficient manner. We have experience in new builds, refurbishment and renewal projects across the whole spectrum of the industry including; commercial, residential, leisure, retail, transport and infrastructure, education, hospitals and industrial. We have worked on some iconic projects such as; St Pancreas Hotel, Crossrail, Hong Kong Airport, HS1, Benenden and The Barts and London Hospitals, Kent County Cricket Ground, Number One Hyde Park, Buxmead Residential development and The Francis Crick Building. We pride ourselves on the long-term relationships we build with our clients and they know that they are working with a team that really cares. Our team are professional, skilled on all the latest software and provided with laptops and phones to allow them to work anywhere required. We can react in an instant and seek to find the best solutions for any challenge that is provided to us from any client on any commission from the smallest to the biggest projects. We, as a company, take pride in our staff and try to provide our people with a work/life balance to meet the changing commitments that not only work but what life throws up, and it is only those people who buy into this style of work and life who we employ. PDSI Construction Consultants is an independent privately owned group of construction and engineering consultancy companies who are market leaders in their class, operating both nationally and internationally. We have a collaborative approach, delivering added value professional services to clients, with over 8000 engagements successfully completed since establishment in 1988. We work on a diverse range of projects that cover a variety of sectors and services. We create bespoke, flexible and commercial solutions that manage risk and ensure successful project delivery that meets our client’s expectations at all stages. We pride ourselves on the long-term relationships we build with our clients and our clients know that they are working with a team that really cares. All assignments are managed by a director, who remains personally responsible until its conclusion. The director will regularly evaluate the client’s requirements to ensure that the most appropriate members of the group’s multi-disciplinary team are engaged on the assignment and that, where necessary, they are successfully integrating into the client’s team. This approach consistently ensures that we add value to our clients. We tailor our services to provide the best value solution to fit client’s needs. We obtain and develop a ‘Statement of Requirements’ which is then aligned to the out-turn objectives. We do this through a ‘workshop’ approach through a dedicated team selected to meet the demands of the project supported by specialists as required. We place a high priority on integrating all project participants into a unified project team with a clear understanding of the client objectives. We will develop a common strategy on how these objectives are to be achieved. We operate in a “hands-on” manner with clear lines of communication. We believe that construction projects are most effectively executed by dedicated teams willing to work together. This approach promotes personal ownership and commitment to the project. The project team and our methodology is tailored to best suit the client requirements. Investment in development projects and programmes involve major financial, and potentially reputational, risks. Project controls is a critical tool to minimise this exposure and provide greater confidence in the predictable delivery of a client's investment. Early in the establishment of a project, we would set up a Project Execution Plan (PEP); this would obtain by-in of all project stakeholders and would form the base controls for delivering a successful assignment, project or programme. It is a dynamic document and will evolve and change over the life of a project and would, amongst other things, set out the roles and responsibilities of stakeholders and clear lines of communication and authority. Our project controls, systems and processes ensure that your investments are set up for success, with all the required enablers for control established and integrated across the project. This reference point then allows us to ensure performance, setting goals and measuring delivery against these targets. Ultimately our goal is to optimise delivery of the investment, advising on areas for efficiency, recommending management action to protect performance and bringing project and market data to compare performance and propagate learning in the programme. The best performers are choosing their work from a global selection of major infrastructure projects and programmes, and are all competing to secure a world-class supply chain from a pool that has slimmed down significantly during the years that followed the global economic downturn. Clients must think in a radically different way about all aspects of asset investment, delivery and operation. Many clients will need to redefine how they engage, work with and drive sustainable performance from the supply chain. Simply procuring a first-tier supplier with an intelligent commercial model is unlikely to be enough. So, what must clients do? The best of the world's supply chain partners will be looking to work on programmes that will enhance their reputation and help them develop capability in order to position them to win more prestigious work in the future. This is the currency of a successful programme. To create that currency, a client must make itself attractive to the market. Defining and positioning its brand, and its values, will help. A client must engage the market so that it brings the supply chain together to achieve those goals. Create the environment for your supply chain to innovate so that they can be rewarded for the value they create. Ensure that the supply chain understands your business and enable them to bring in new ideas to help you become more efficient. Some infrastructure owners are procuring based on innovative solutions developed during bidding. Our employees, with the help of our partners and suppliers, deliver added value professional services to our clients. Consistent delivery of these services requires robust processes and procedures guided by our values and policies outlined below. Our values are part of our DNA. They guide the way we work with each other, with our clients and within our communities. We behave with honesty, respect and trust, collaboration and accountability. They define our culture. Our values and policies guide us. They are managed on a day to day basis by our Operations Board who ensure that they are communicated, understood and implemented as part of our Business Operating System. We have a number of policies that form the core of our activities; these ensure that PDSI are working to the highest possible standards. We are committed to ensuring the health, safety and wellbeing of anyone who works at, or visits, our offices or sites. We also have a responsibility to contribute positively to health and safety issues when working on client projects, along with other consultants and contractors. We are committed to a zero AFR - with no serious staff injury reported in 10 years. We understand that we play a significant role as a leading advisor to our clients. We know that clients want to reduce their impact on the environment and specifically their buildings to use less energy and produce less CO2, use less water and create less waste in construction and operation. They look to us to take a lead on environmental and sustainability issues and help them to achieve their goals. To do this we focus internally and externally on the environment and sustainability so that it becomes 'business as usual', rather than something exceptional. Unlike many of our competitors, we have a separate environmental policy as we feel it is important and should not be subsumed into a sustainability policy. Our sustainability policy is read alongside our environmental and, while it includes environmental issues, it expands on how we manage financial and people elements of sustainability. We believe in the significance of client satisfaction, quality based management and a culture of progressive development within our companies for a sustainable success. Information and data is the fundamental component of any project and we understand our responsibility to ensure we: provide appropriate, accurate and up-to-date information and , when people request it, make information available to those who have a good reason to see it, take appropriate measures to protect information, ensure that information created, collected and stored is proportionate to the business need, and that it is retained only for as long as it is needed. We know our success is a direct result of the experience and quality of our people. We are committed to focusing our employment procedures and practices on maximising the potential of each unique individual. We believe that this is best achieved by developing our employees' talents, whilst recognising their differences. By treating people fairly and equally, and by accepting and embracing their diversity, we can also improve our market competitiveness, foster innovation, enhance our corporate social responsibility and create an inclusive and positive working environment for all employees. Formed in 1994 by Mike and Ann Hill, Profile has grown from a small family niche planning consultancy to a £1m plus fee turnover company. In 2010, Mike semi-retired and, under the new ownership of Terry Chapman, Profile became part of the PDSI group. Initially set up to support main contractors needs Profile quickly developed clients from across the industry, including client developers, Project Management and QS firms, design practices and trade contractors. We have also increased our delay analysis services over the years and undertake delay expert witness reports for the legal profession. For the first 20 years of its existence Profile were based at the Doctors House office in the Royal British Legion Aylesford. 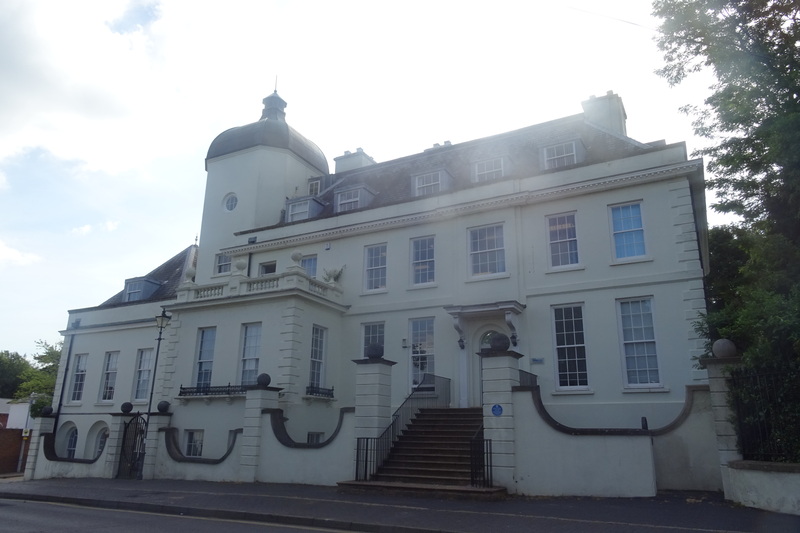 In 2014 Profile main office relocated to the 1st floor Town House in West Malling. Since 2010 Profile has also had the opportunity to share the group’s Waterloo, London head office. In 2017 Profile opened an office in Palma, Majorca, with a view to grow further into the European markets. In our 20 odd years we have worked on commission in Hong Kong, Jamaica, France, Germany, Spain, Italy, Holland, Belgium, Switzerland and Poland amongst others.